We were recently contacted by Mary. Mary had followed the information and advice on our website and had been able to secure NHS Continuing Healthcare for her husband when he went from hospital into a nursing home. When my wife was assessed for NHS Continuing Healthcare (CHC), despite the scoring indicating a successful outcome, we were told her needs were ‘social’ !! No evidence was produced that such a ruling was ‘legal’, within the CHC system, associated guidelelines or publications !!! My mother (88) who has been diagnosed with normal pressure hydrocephalus and dementia has been in hospital for 5 weeks, she is immobile, needs a hoist has a catheter and sight and hearing is poor – we have been asked to attend a meeting – when I asked what it was for they stated it was an informal chat with the doctor and the discharge supervisor. A Checklist has been done which they wouldn’t let me see but was told that her needs aren’t health related. 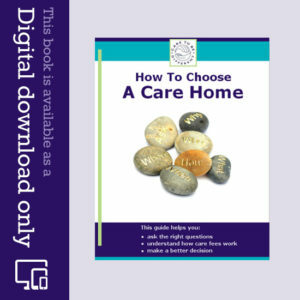 I have purchase your book which is really useful and was just wondering if this is some sort of casual meeting, I am prepared as apparently the Checklist was done 1 week into her stay in hospital and she has greatly deteriorated since then. Just wondering if anyone else has any advice at his early stage. 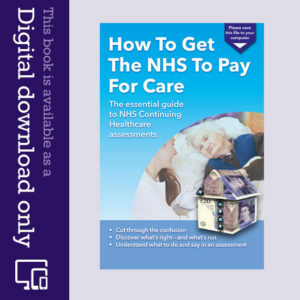 I have purchased the PDF “How to Get the NHS to pay for Care. We have found it very useful and it has helped us get to formal complaint stages concerning NHS Continuing Healthcare (CHC) funding. My father-in laws story is very similar to all those I have taken the time to read, and we are currently battling with CHC NHS commissioners at the first formal complaint stages. I envisage that we will be going all the way to contest the decision they have made. However there is a twist to our story that is unique but also a little worrying. When my mother in law started getting council bills for care payments bills back in 2016 once the NHS funded had stopped. She failed to tell my husband or his sister until it was too late to appeal the decision. she was scared, buried her head in the sand, she has her own health issues herself to worry about. However we still appealed the assessment decision based on the fact that my husband and sister in-law have LPA (health and financial matters) and were not invited to the review assessment , we have continued in the lengthy process of appealing the decision the CHC assessor made in 2016. My mother-in-law has down-sized her home and moved to a shared ownership property. We have supported her all the way, and even though she sold the home she once shared with her husband quickly, not getting the full value based on a quick sale agreement. We are happy that she is in a safer place. By the sounds of it there have been some huge holes in the processes for you, When the assessment was completed was there no one from social services who should have been looking at the LA providing care for your father? As someone with LPA you can request to see all documents and who was present. The value of the house should not have come into it and should have been discounted as your mother was still in it, so there should have been no pressure to leave the property. Social services assessment should have put a care plan in place with funding to help with care – this does not always meet the total cost but should go a long way to it. Financially the Local Authority should have looked at his / their assets and what they were worth and provided care figures based on that. Phone social services and explain everything that has happened as he most certainly has a social care need if not Primary Care Need. Yes we are going through it at the moment. The assessor was he’ll bent on marking down mum who is 92 can’t stand w.alk etc on pureed food thickener for fluid doubly incontinent and hardly speaks and doesn’t recognise family. Vascular dementia. Assessor marked her Low on food and nutrition Low on mobility which was overruled by panel to High. Low on cognition and behaviour. Even though my brother raised that she regularly smears herself in faeces the assessor wouldn’t take it as evidence., even when the carer backed up my brother. The care home report was inconsistent and contradictory. We will appeal. It appears the assessor wasn’t going to budge. Also the social worker we were suppose to have didn’t turn up. Any advice on what to do next. I will take pictures and record behaviour every time I see her for. Now on. It is all very stressful and upsetting. Help, advice needed please. Can someone not qualify for Continuing Healthcare (CHC) because their Dementia is too advanced? My friends Mum had a checklist assessment 18mths ago, it didnt proceed to a full Decision Support Tool (DST) despite some high scores and my friend didnt know they could appeal. At that time mum had challenging behaviour etc. Mum has got worse so another checklist assessment was carried out about 3mths ago at my friends request. This was followed up with a recent full DST assesssment which my friend attended. It was a 5 hour meeting and mum scored high or moderate for all Domains except Breathing which was low and Cognition was ‘severe’. However, the CCG has just telephoned to say that her behaviour is now no longer as challenging and she is not as complex to manage so its unlikely she will be recommended for CHC, but that she almost certainly would have qualified before her dementia worsened. Can they do this, isnt the Primary Health need established from the intervention required for all Domains bar one? How can we challenge this? Thank you for any advice or help. Can anyone help? I am at a loss as to what to do. My lovely Dad died last month after almost two years of being denied assessment for Continuing Healthcare (CHC). He was Fast Tracked just 8 weeks before he died. The CCG were therefore responsible for his care and funding in those final weeks. Dad was at home and to ensure continuity of care and to meet my father’s wishes our privately engaged carer and my sister provided the majority of the care, with personal care visits provided by a care agency commissioned by the CCG. The CCG told us this agency would employ/pay my sister and our private carer. It failed to do so, delaying the paperwork, interviews, etc until it was too late and Dad died. The agency knew when it agreed to provide care that Dad was considered end of life and did not say employing the two main carers would be a problem or take weeks to arrange. We believed it was just a formality, a mechanism that would enable the CCG to commission and fund the 24-hour care needed. I asked the CCG how the care would be funded in the interim, while the two main carers waited for contracts/pay – they told me verbally that the carers needed to send invoices/receipts and copies of my father’s bank statements to prove he had paid for care. As the agency never employed the carers we ended up sending explanatory letters with invoices/receipts/bank statements to the CCG until Dad died. They have not replied or responded in any way to these letters let alone refunded the care costs. They owe almost £7000. What can I do? Can the NHS even now, after agreeing CHC, still refuse to fund care it has agreed to fund? How do I make the CCG pay what it owes? Finally, how do I fight for the CHC funding to be backdated to when a positive Checklist was first sent to the CCG in September last year or earlier when two hospitals and a social worker failed to assess for CHC early in 2016? Janine, Every illness that you quoted has associated needs. You need to make a list of the illnesses and then follow that with intricate details of the various needs, how many people are involved in meeting them, how long they take, how much repetition, how many failures, then do the same for what might be described as ‘needs of daily living’ (eating, drinking, toilet, shower, bath, washing, clothes changing etc. etc. If needs of any kind are complex, intense and/or unpredictable then they are the criterion that will be applied. Imagine how long it takes to describe meeting a need and you can remark at assessments when they roll their eyes at you, that if it takes so long to describe, then how much longer (intensity/complexity/unpredictability ) does it take to perform? My brother and I are currently navigating the process, on behalf of our mother who has Alzheimer’s, and to our surprise the hospital Multidisciplinary Team (MDT) recommended Continuing Healthcare with a very strongly evidenced Decision Support Tool report. However, the CCG has refused to accept it because it was done in hospital and not the community and because the hospital wouldn’t reconvene to discuss an Older Persons Mental Health team report, submitted after the MDT, despite the mental health team and the MDT saying this didn’t alter their recommendation. Despite this happening four weeks ago, the CCG have only just spoken to us via phone after we rang them but still not provided in writing their decision and the reasons for it. Has anyone had a similar experience? We are starting an appeal. Gary, it takes ‘exceptional circumstances’ to over rule the Decision Support Tool and the Multidisciplinary Team that made the recommendation. The assessment was obviously not carried out in exceptional circumstances. The National rules permit assessments to be undertaken in hospitals. Ergo it is their locally biased rules that they are applying and as such that does not make them right to overturn the recommendation they were given. Appeal it and be prepared to go all the way to an Independent Review Panel on those grounds. If the council is involved in funding, then if you wish (do as we have done), do not refund their claims for re-payment. Let someone at the council take matters to court if necessary and get a judge to decide if the reasons for overturning the recommendation were, ‘exceptional’. Thanks Chris. We made them aware of our challenge and that we would take it all the way if necessary and they backed off and after a reconvened Multidisciplinary Team and they have awarded NHS Continuing Healthcare. However, the backdrop to the process is interesting as initially the CCG said they would fund mum on Adult Social Care (cheaper council rates) in a care home. But it became obvious that all those homes asked to assess Mum would not take her because of her needs. Eventually it became obvious she needed a good nursing home with dedicated care staff and environment which we have eventually got. The CCG are still making noises about her having to move when they do the three month assessment if she doesn’t qualify anymore. They base this on the implication that her stay on an acute hospital ward has made her condition far worse (!!) and when she is in a home her challenging behaviour (Alzeimhers) will get better!! By the way the hospital and their staff have been great and stuck to the letter of the National Guidelines. Hi Gary, perhaps I am confused but Adult Social Care Funding by the NHS cannot exist. I assume that what is going on is an attempt to pass matters to the council to fund and recharge your mum for. 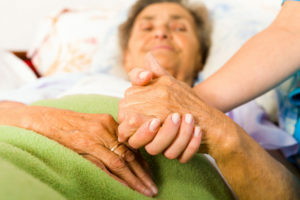 What you have to watch out for is that regardless of a nursing home placement, they will at some stage attempt to lower the needs and then decline to pay NHS Continuing Healthcare (CHC) even if your mum is required to be in a nursing home environment. Last year our CSU/CCG removed a third of funding in addition to refusing 72% of new claims. So it is likely to happen. To clarify, my deceased mum from 2009 until Aug this year, was repeatedly stated by both NHS and council as requiring (Alzheimer’s) specific nursing care 24/7 that was beyond my dad’s capabilities to provide. Every few months they assessed to remove the CHC funding. So we simply left matters as long as possible in the appeals and sometimes three years would elapse before Independent Review Panel. At which point recommendations would be made to re-instate the funding and at that point the entire amount would need to be paid to the home and/or the council refunded….. At no point did we pay the council on the grounds that until all appeals were exhausted then the sum they regularly demanded might not be owed and as such a court would probably tell them to go away in exactly the same way as if we had tried a prosecution prior to exhausting the appeals process.. I applied for Continuing Healthcare (CHC) for the second time, the first was dismissed as he moved into another county. I applied again when in Hospital, only to be told, he will not qualify? I explained to the Dr it was not his decision, he passed the Checklist 17th January 2017 and was informed it would continue to the next stage when placed in a Nursing Home, it took months and finally approved in July of this year, he died in Hospital on the 27th July 2017. He died aged 99 with a fracture to his Hip in Hospital. I attended the meeting with a CCG Assessor and Local Authority (LA) CHC Specialist, where I discovered the LA recommended approval, but not the CCG Assessor (conflict of interest), however it was approved. It is important you keep a daily diary, learn all about the Domains. My father-in-laws Care is now part of a CQC Investigation. My father -in-law was to be discharged from a General Hospital against our wishes unable to speak, the subsequent meeting said he was well enough to be discharged. The Care Home Manager said she would not speak to me, as I was a Court of Protection Deputy for Property and Finance not Health, as a Relevant Persons Representative (RPR) under Deprivation of Liberty Safeguard (DoLS) you are there to offer Protection, this was completely ignored, he died within hours of the CHC and Hospital decision to return him back to the Nursing Home. My son is 45 with a history of Hodgkin’s disease, perforated ulcer, heart attack, query stroke etc. he is in hospital misdiagnosed with mental health problems. His legs are swollen (oedema) he cannot walk. He will need 24/7 care as he has been discharged from a section after 4 days. He is still in hospital, scans ordered etc. I am disabled, what do I do. Any advice please? Thanks Rosemary. It looks as though you’re not seeing the links. Can you let us know which internet browser you’re using? I’m using Safari on an iPhone. We’ve made a few tweaks. Let us know if all is OK now. My husband has now had 2 Continuing Healthcare (CHC) assessments. Both resulted in the Multidisciplinary Team (MDT) recommending he should get CHC funding as he had a Primary Healthcare need. Both were turned down by the local CCG. I am already appealing the first decision and am about to appeal the 2nd. Why do they hold MDT meetings to fill out the Decision Support Tool (DST) and then ignore the recommendation made by those professionals? I understood that the Framework Document says that the CCG should return the DST to the MDT for further work if they disagree with the weightings given. This was not done in my husbands case. I spend 24 hours a day caring for my husband, who I love very much, and I do have the help of Carers. However, it is exhausting both physically and mentally and any ‘free’ time I have I usually spend sleeping. I fully intend to fight on for the funding he deserves but I am finding it very difficult. Exactly what the CCG are hoping for I suppose. I can wholeheartedly agree with the above tips. I have just secured Continuing Healthcare (CHC) funding for my Mum and it has been almost a 24/7 battle. I kept a full diary of daily events and for how long they lasted (you will need this to show the “intensity”). I researched and read everything I could and printed out important parts. I had 4 meetings with the assessors in the end and was disappointed to find out that I knew more than they did! They would tell me something and I would have to correct them, showing them part of their own guidelines, the NHS Framework or other guidance I had. They kept saying “Oh”. Eventually when they visited me they would make the comment “well you are the expert in CHC funding”! Eventually, the CCG panel raised two domain markings and the assessors raised a further two and we secured the funding. Having done so much research into this area, I now truly believe that the majority of people in care or nursing homes should also qualify for CHC funding. Sadly, some people have no one to help them do the work required for the assessments and, as I found, assessors just are not fully conversant with their own guidelines or the law, no wonder people do not get a fair assessment. Websites like this, and Angela’s book are a godsend and without them I might not have been able to secure funding for Mum. It took me over 3 weeks of constantly researching the web for information and tips. It is very, very hard work, and I can see how some people would give up, I felt like that myself many times but battled on for what I felt my Mum deserved. For anyone going through this process, follow the tips above. The diary of daily and nightly events and needs and the time they lasted what was what helped the most in our case. It gave a very clear picture of Mum’s needs, how they were managed (or not), and how long they lasted. And, lastly be prepared to work long and hard. Thanks for your very kind words about the book and website, Agatha.